SERP tracking has been an integral part of just about every SEO marketing campaign for over a decade now. We’ve written previous articles that provide some keyword opportunities for SERP tracking but as we all know, the state of the SERPs changes all the time, and the way we track the SERP changes with it. Do marketers get as much value from SERP tracking today as they did a decade ago and how should we (as marketers) use our SERP tracking data? I don’t think you can perfectly quantify the value of SERP rank tracking, but I think a strong case can be made for the continued value of SERP tracking for marketers. To really answer the question about SERP value, we need to identify the changes Google has made to the way we track keywords. Over the past 4 or 5 years, Google has made leaps and strides in its ability to understand the context of a query along with the intent of the searcher. RankBrain has largely assisted with this since the beginning of 2015, and the constant Micro-algorithm updates have created an SEO climate where queries are all about context. Does time play into the question? Locale? Previous search history? Social signals? News? Purchases? Google has over well over 200+ questions/signals it uses to determine the most appropriate result. In this short video, Matt Cutts gives a quick detailed visual for how Google Search works. As we all know now, the Hummingbird (2013) update resulted in Google’s Semantic Search (semantics being concerned with linguistic meaning, more specifically a range of meaning) and RankBrain (2015) added a more skilled system for understanding searcher intent. This is when we start targeting our original question. So how exactly do we conduct rank tracking for keywords? Firstly, just because Google is getting better at translating our keywords into more appropriate keywords doesn’t mean that we shouldn’t be keeping a close eye on keywords. 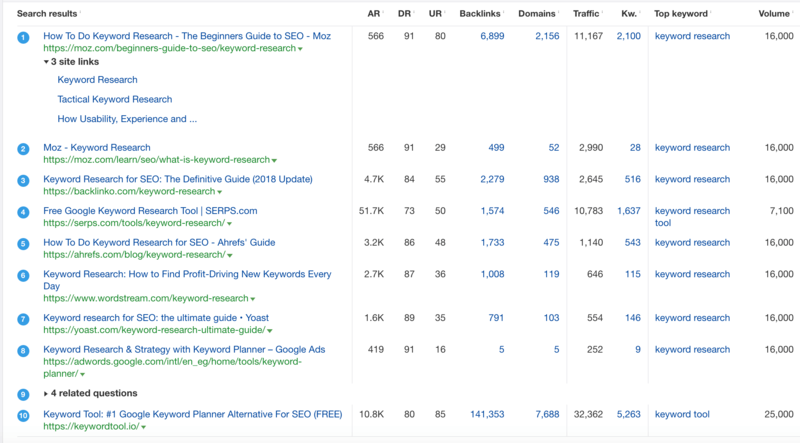 We may not know how much traffic an individual keyword sends to a page but you can still know which pages are receiving traffic and if those pages rank for select keywords. Google Search Console and Google Analytics reports on traffic and you can tie this data into keyword ranking reports and see which pages are receiving traffic from which keywords. Rank tracking isn’t an exact science, but it doesn’t need to be. Identify page traffic and see what keywords the page ranks for and correlate the data. How Does Rank Tracking Change in 2018? Marketers must broaden set of keywords they look at. Instead of tracking hyper-specific keywords, marketers should create keyword buckets that act as sample sets. By using sample sets in keyword tracking you will not only save money, but you will appropriately respond to the change in Google’s algorithm. 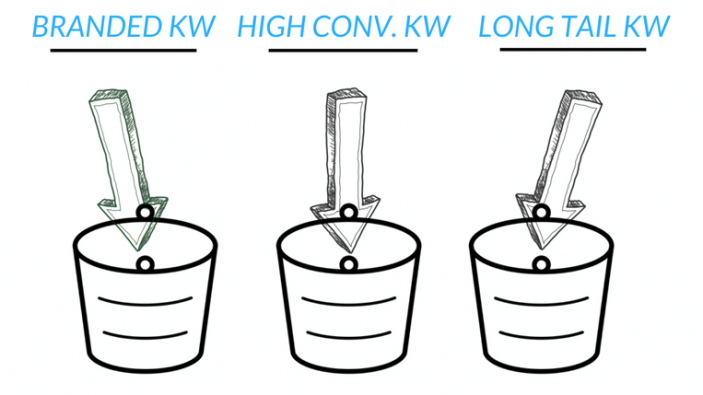 Make sure you’re conducting keyword research properly to inform your creation of sample set keyword buckets. If you’re looking for some sample set keyword buckets, we suggest: Branded Keywords (the keywords attached to something very specific regardless of semantics), High conversion keywords (which is identified by locating your high traffic pages, identifying high traffic page keywords, and correlating that to data on total keyword volume) and long tail keywords (which should be designed with care after understanding how you can laser in on what customers really want). If we apply our knowledge of Google algorithm updates to the earlier Matt Cutts video, then we should apply some additional keyword monitoring changes. 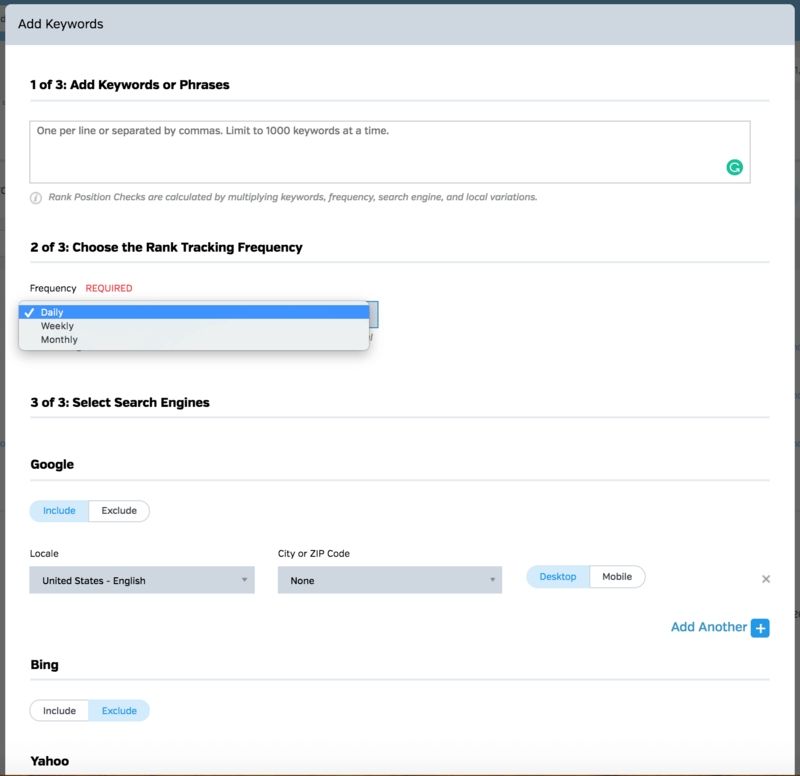 Make sure to track how the keywords perform on mobile, desktop, and by region. Google has explicitly mentioned that these three categories lead to different search results, so you’ll need to segment the way you monitor keywords, which is a little more work, but it provides a lot more insight. Rank Tracking is supposed to inform marketers on how to take actionable steps to improve site traffic, which should ultimately lead to conversions. Understand your goal to understand what you track and how the things tracked play into the overarching campaign that you are running. Are you on page two for any keyword? Add some additional content, apply some internal linking principles, and optimize existing content to give you a push to page one. If you aren’t on page one, its almost like you aren’t even visible. Track the competition. Keep your friends close and your enemies closer. When you’re tracking keywords, keep an eye on keywords your competition is claiming and stay ahead of the pack so you don’t lose your traffic equity from high conversion keywords. The above image illustrates the importance in reaching for low hanging fruit if you happen to be in the lower section of page 1 rankings. 16802 clicks belong to 3 websites for “Keyword Research”. 2592 clicks remain for the other results that rank on top for “Keyword Research”. 85% of traffic goes to the top 3. What does Rank Tracking do? Track your keywords that are on the top results of the SERP but are located outside of the top 3. Generally speaking, pages that are in the top 3 top 3 results receive a massively larger share of traffic for organic searches than position 4-10. Evaluate opportunities to bump up one or two positions and you’ll hopefully see a drastic bump in traffic. So do Marketers get as much value from SERP tracking today as they did in the past? Yes, but only if you know how to adapt to the algorithm changes. Raven has a rank tracking tool of its own that allows you to track keywords daily, weekly, or monthly on 5 different search engines. You can even select any location in the world and select device type. If you don’t want to be conservative in your keyword tracking endeavors, you’ll have plenty of freedom with 15,000 rank position checks for the Start plan $79). The way you track may change over the years, but it’s still important to keep tabs on valuable keywords for content marketers and inbound marketers to formulate the right strategies to move your company forward. 1. Create actionable steps to take from the keywords you track. 2. Correlate marketing efforts with your keyword data. 3. Stay aware of the competition to ensure that you can understand whether your content needs an upgrade to stay ahead. 4. Google may change the keywords for a query as it sees fit but you can still create valuable keyword buckets that provide important insights into the keywords that heavily correlate to your marketing success. 5. Use a Rank Tracking Tool: Use Raven Tools SERP Tracker to aid your marketing efforts and inform your team with better insights.